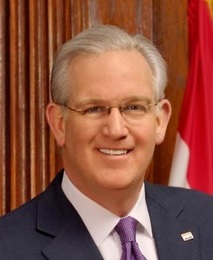 Missouri Governor Jay Nixon (D) says he has released the money to cover a one-percent pay raise for state employees. He had held back that funding due to concerns the state wouldn’t have the money to cover it. He also released $2-million for Missouri tourism, that he said in a statement would be used to “enhance the state’s tourism efforts and continue moving the state’s economy forward.” The statement says that makes the increase for tourism this fiscal year greater than $6.2-million. To offset those releases, the governor is restricting $1.8-million of the $4.2-million available for repairs to the State Capitol and another $4-million from a facilities maintenance fund to be used for state building repairs and renovation. The statement says those projects are included in a bond issuance the governor recently proposed, that has bi-partisan support from the General Assembly.